To grasp the extent of his actions is obviously too much to ask the footballer. Many will disagree with this thesis, but in honor of Mesut Özil, it is nevertheless set up. Public figures who are role models should not make every far-reaching decision on their own. Or in other words, you sometimes have to be protected from yourself. Özil is the best example of this. After all, he had his picture taken again with the Turkish President Recep Tayyip Erdoğan and even invited him to his wedding. As if he had learned nothing from the catastrophic meeting with Erdoğan last year for his reputation. But how? 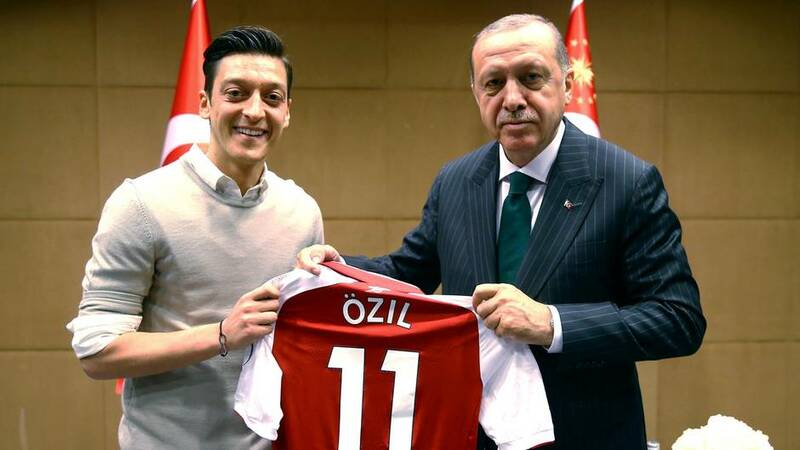 Why should the German Turk Özil, who has been living abroad for many years and living there in his own world, be able to gauge the impact of the medial impact of a single photo? How should he understand that integration policies are run on the backs of a footballer who was only photographed with the president of the country where his parents came from? Even if this president does not take it so seriously with the rule of law. Obviously, you can not expect all of Özil, although he is certainly an intelligent guy. What you can expect is a bit of foresight and ignorance to get a team of consultants with their millions. Professionals who understand and sympathize with the dynamics of public debates.